Are you hot? No, really. The wonderful thing about interaction design is that one has the opportunity to experiment on things and explore their potential. Recently, I started playing with swatches of ChroMyx, a line of temperature-sensitive fabric that changes color at a higher temperature and returns to its original color when the temperature is reduced again. 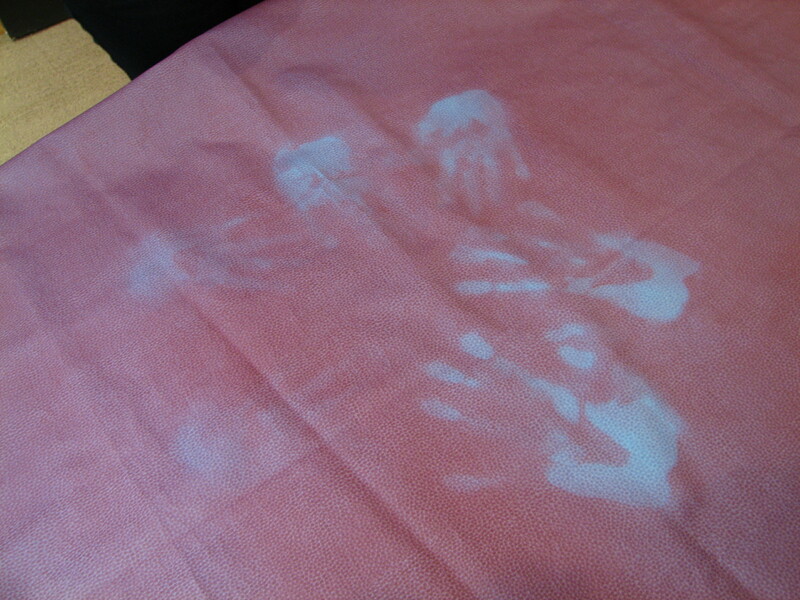 The heat from my skin changes the color of thermosensitive fabric. Chameleon International, which manufactures ChroMyx, sent me the variant that was more sensitive to heat changes and was UV-stable; I would be able to use this outdoors and sunlight would not affect the color change. 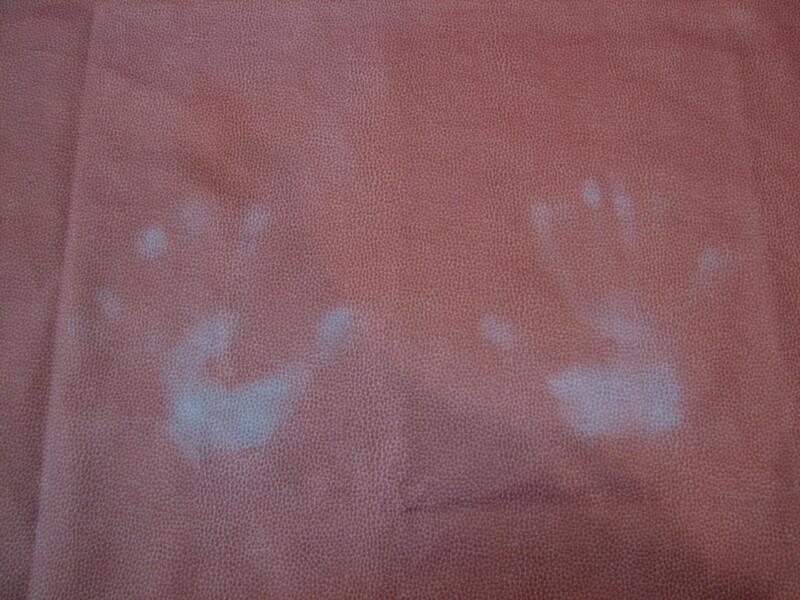 Designers Prachi Pundeer, Sana Rao, and Tom Harman test thermochromic fabric. Different body temperatures yield different shades of color change. Embarrassingly, I discovered that I am quite warm-blooded; with the other side of the fabric draped on me, it slowly turned blue, particularly in areas of high blood circulation—a very strange way to flash someone, I’m sure. This is something I have to keep in mind when using the fabric for prototyping. 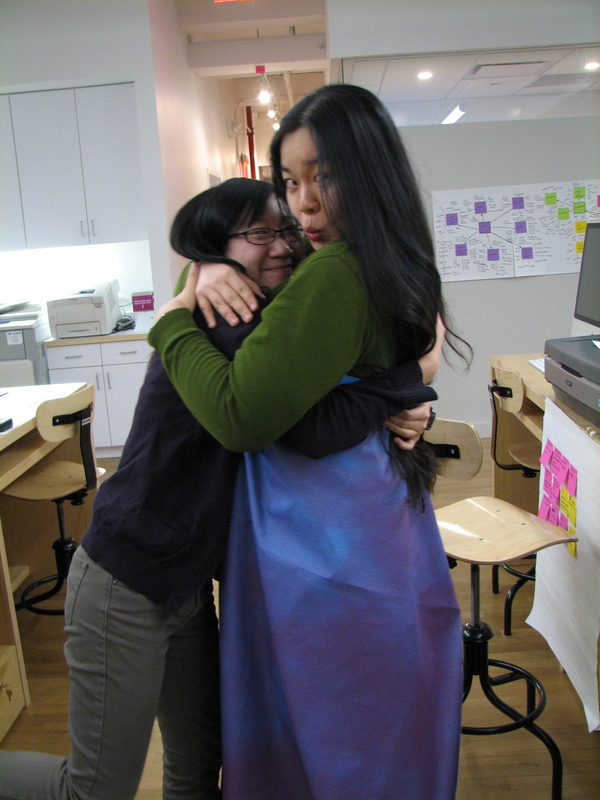 Locked in a hug with designer Tina Ye, who is often the giver and recipient of hugs in the studio, I wonder how thermochromicity can be an indicator of duration and position of touch. More to come, soon! Two interaction designers, locked in a thermochromic hug. Photo by Chris Cannon. Limericks welcome.